Dr. Friedemann Schaub, MD, PhD, is a physician specializing in cardiology and molecular biologist who has helped thousands of people with his Personal Breakthrough and Empowerment program that combines his medical expertise with NLP, Time Line Therapy™, clinical hypnotherapy, and more. His book The Fear and Anxiety Solution: A Breakthrough Process for Healing and Empowerment with Your Subconscious Mind was published in 2012.He lives in Seattle, Washington.More information is available at: http://www.cellularwisdom.com. Terri Jay is an Internationally acclaimed Medium, Intuitive, Pet Psychic, Horse Whisperer, Energy Healer and more. She is also renowned as a medical and veterinary intuitive. She regularly communicates with both people and pets on the Other Side, particularly when helping people deal with the loss of a loved one. Terri also has the unique ability to communicate with people who have communication disorders such as autism, Alzheimer’s, traumatic brain injuries, coma, etc. Her ability to help people to heal themselves from chronic and“terminal” diseases has helped thousands of people to lead normal lives. Terri’s love of horses has always figured strongly in her vocations. A native of Cleveland, Ohio, she remembers being drawn to horses at an early age. She began riding lessons and by age 16, she was showing horses on a Class A circuit as a junior rider and also taught riding locally. She went on to attend Ohio State University where she studied Animal Science. By the mid 1970s, Terri had moved to Las Vegas, Nevada, where she started a free, horseback therapy program for disabled children. In 1985, she moved to Reno to become the first Executive Director of the Nevada Commission for the Preservation of Wild Horses, a position she held until 1990 when she decided once again to offer a horseback therapy program. It was during this time that she discovered her gift for intuitive communication with disabled children that soongrew to include horses, other animals and the deceased. Terri has always been in front of the media spotlight for her therapeutic riding program, which received local and national coverage. She went on to appear on countless television news shows for her intuitive work, in national and international magazines and newspapers and on the TV series “Texas Justice” as an expert witness. She recently appeared on the “Steve Harvey Show.” She will be playing herself in a feature-length movie coming out later this year. Terri is presently working on publishing several books about her abilities and is also developing several television shows for the future. 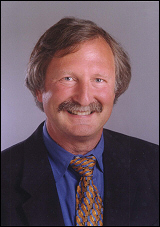 Dr Edward Close (Natures Mold Rx) to Be Guest of Holistic Health Show. Pursuing an active research program in environmental remediation, Dr Close has made a series of breakthrough discoveries in using non-toxic compounds in mold research that have benefited millions. He is a charter member of the internationally known Integrated Health-Care Professionals Council. He has authored numerous technical papers and five books, including the groundbreaking “Transcendental Physics, Integrating the Search for Truth”. He also developed the mathematical “calculus of distinctions”, and described a brief (several pages), but never refuted first published proof for the famous Fermat’s Last Theorem 3. . He has also developed several new theorems of consciousness, and contributed important engineering applications. You Can Deal with Seasonal Allergies Naturally. Want to prevent and treat seasonal allergies naturally. Be;ow is an interview I did with Dr Fred Pescatore in new York City who is a specialist in this area. Enjoy. On Saturday at 12 noon PST on BBS Radio (www.bbsradio.com) Dr Carl O Helvie, Host, Holistic Health Show will conclude the interview with Dr Michael T. Smith on natural solutions for diabetes and also interview Ron Brown on how he dealt with diabetes after his wife was diagnosed..
Dr Carl O Helvie, Host, Holistic Health Show interviewed three guests who talked about natural solutions to seasonal allergies on his show yesterday.